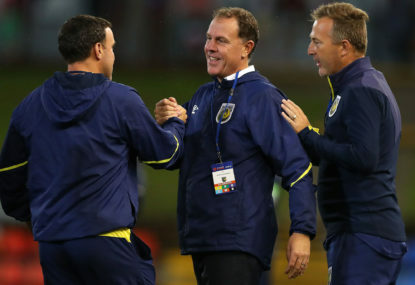 It was the game the A-League had only ever dared to dream of: two international stars facing off in a New South Wales derby at a packed Allianz Stadium. With more than 35,000 parochial fans flocking to a picturesque Moore Park, there were lofty expectations thrust upon the shoulders of the league’s newest marquee men – and to the delight of everyone involved, they delivered. The Harbour City gave us marvellous conditions for football, but more importantly, the players gave their fans a treat to savour. The predominately sky-blue crowd was stunned in the 12th minute by a scrappy goal from the boot of Ryan Griffiths. A poor clearance from a corner gave the striker an opportunity to secure bragging rights over brother Adam, and the Newcastle star slotted home the goal – to the clear distaste of The Cove. 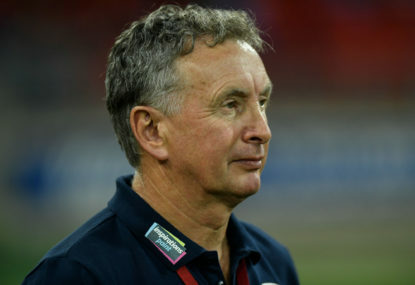 Sydney FC appeared to have been rattled by the record home crowd and the concession of that early goal. The anticipation appeared to have gotten the better of the 11 men in blue, bar one. 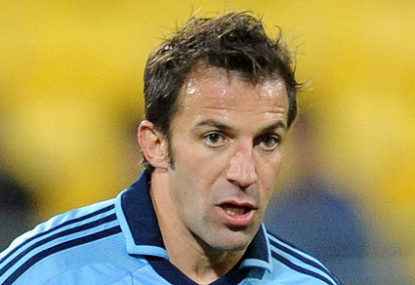 Italian import Alessandro Del Piero won a free kick in shooting range after enduring heavy attention from the Jets’ defence. Known for his ability to curl the ball over walls, Del Piero stepped up once more to set the crowd alight in the 26th minute, scoring his first goal for his new club. 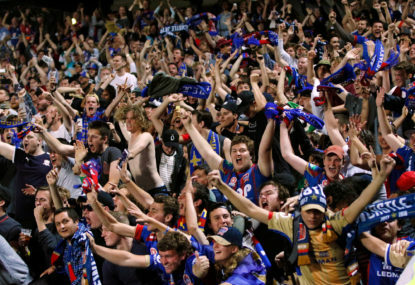 The crowd was delighted, and the scores were levelled at one apiece. The English colossus was not to be outdone, making the most of his limited chances on goal to give the Jets the lead once more in the 41st minute. Criticised for last week’s performance at home, Heskey made amends. All of this before the change of ends. 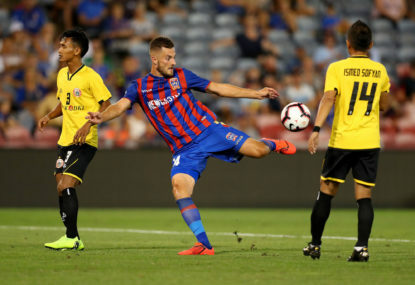 Jets front man Goodwin doubled Newcastle’s lead in the 63rd minute with a composed strike, beating Necevski and sinking the hearts of the Sydney supporters. No less than 60 seconds later, the former Italian captain had a half-chance on goal – though he couldn’t repeat his first half heroics. 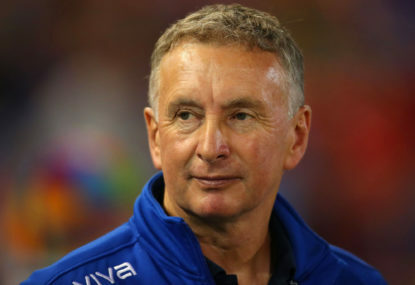 The wily playmaker did all he could to conjure a second goal for the home side, and after relentless pressure on the Newcastle defence, Sydney captured their second through Powell in the 73rd. The strike proved little more than a consolation goal for Del Piero’s ‘New Azzurri’, Newcastle holding on to secure a 3-2 victory away from home. 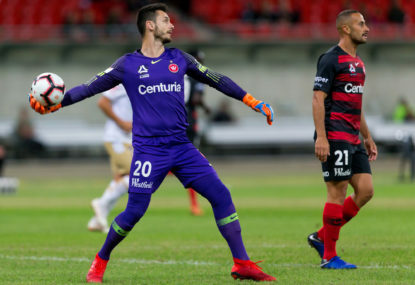 Although the Sydney fans did not get the win, they witnessed a display of talent and class far superior to what we have seen in the A-League since its inception. Having said that, Sydney remain glued to the bottom of the ladder after two matches, yet to register a single point.